Drag the prefixes on the right to what it means on the left. Any errors will be shown. 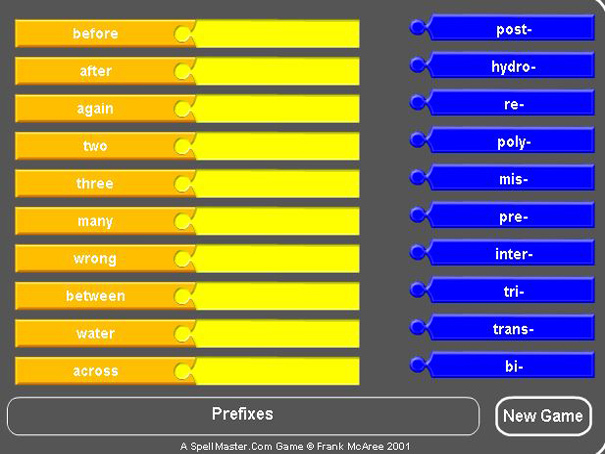 Learning the meaning of common prefixes is useful to help you recognize the meaning of other words that include them.